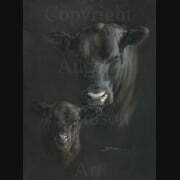 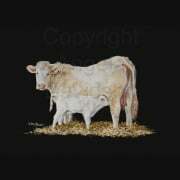 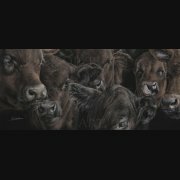 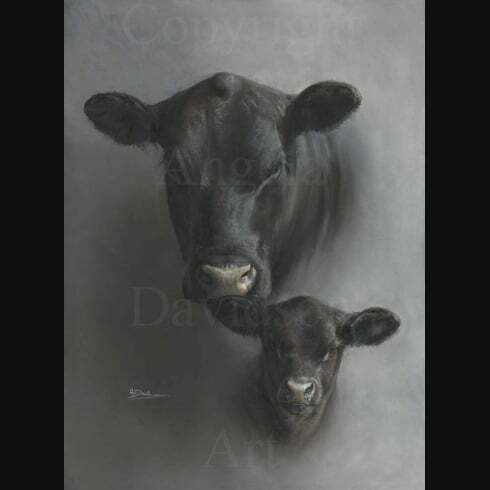 Aberdeen Angus Cattle Art: Here's to the Hummlies. 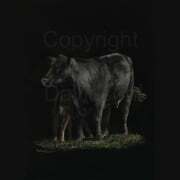 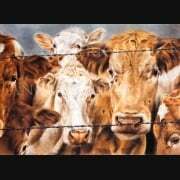 During the early evolution of the Aberdeen Angus breed, depending on which area of Scotland the cattle were located, they were either referred to as Doddies or Hummlies. 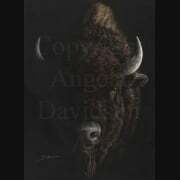 Here, Angie has created two similar prints (see also: Here's to the Doddies) the titles of which hark back to that historical past.